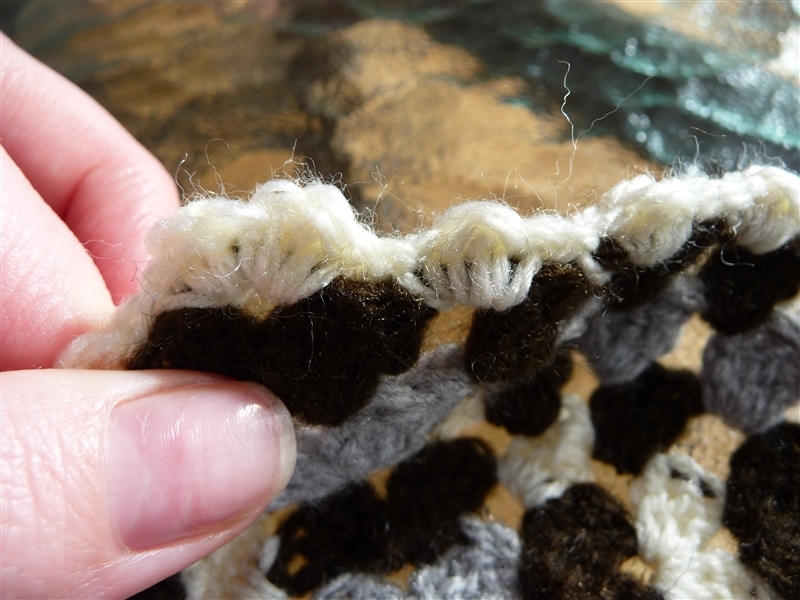 I recently received a lovely email reminding me that I had not posted my notes on how I created an edge for my Granny Queare Blanket. I created this very basic edge because I was trying to find something that was simple and not to fancy for my brother’s blanket. After several attempts to photograph up close the black edging and failing terribly. 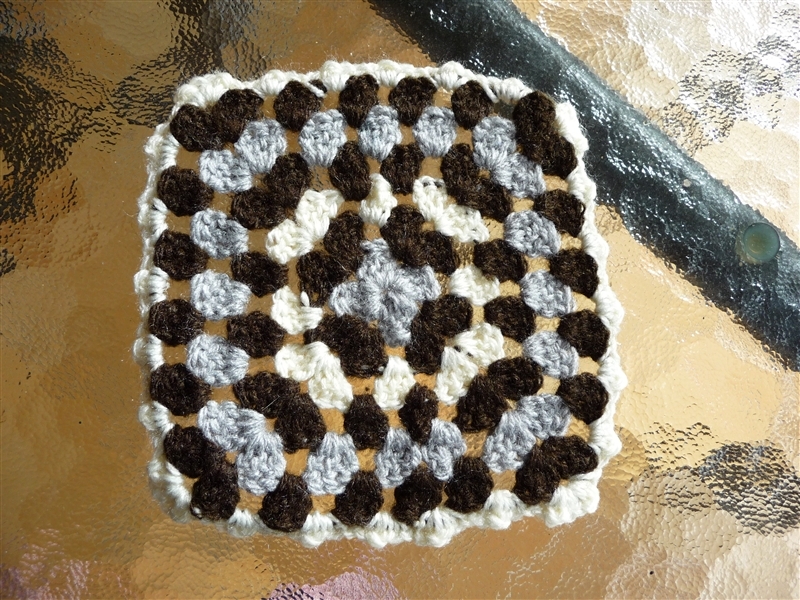 I created the above granny square and created the edge in cream. Nope this photo doesn’t show the simple scolloped edge. Now that looks not-to-pretty, the corners created a heart shape. Now if I could only remember how I created it. a) chain two to the next gap, single crochet, double crochet, treble crochet, double crochet, single crochet, then chain to the next gap. 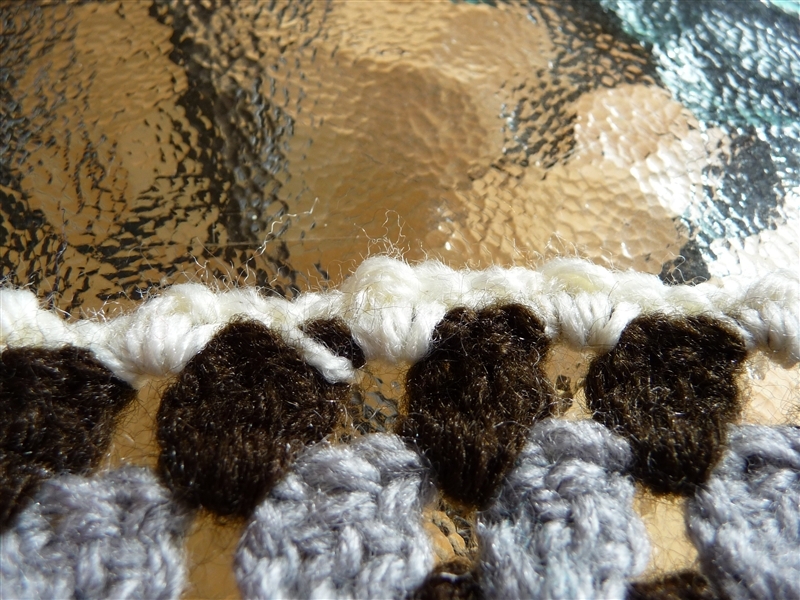 b) chain two to the next gap, single crochet, half treble crochet, single crochet then two chain to the next gap. 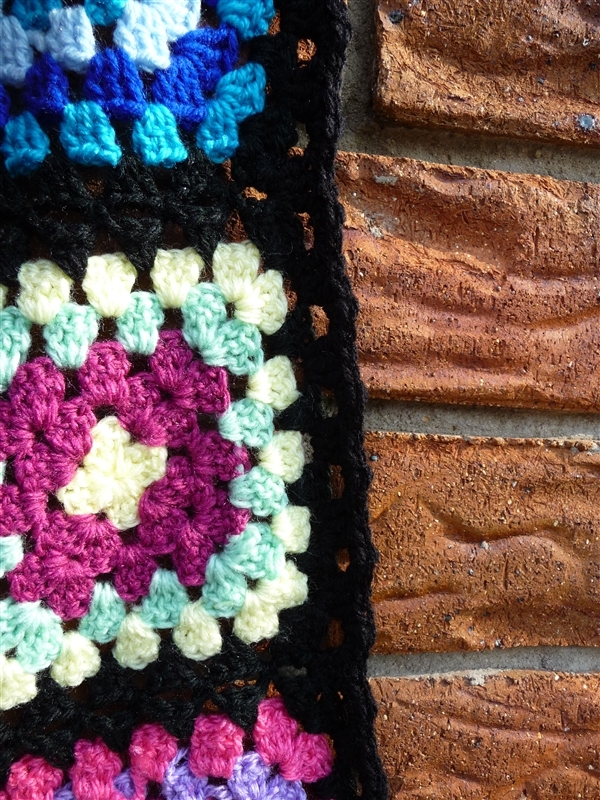 c) chain two to the next gap, double crochet, triple treble crochet, double crochet, then two chain to the next gap.